Some of the biggest directors in Hollywood right now are rallying their troops after a declaration of war has been called against TV motion smoothing, or as Star Wars: The Last Jedi director Rian Johnson calls it, "liquid diarrhea." Johnson's term might be more than a little redundant, but you get the picture. Back at the end of August, Stranger Things creators, Ross Duffer and Matt Duffer, fired the first shot that may have started the motion smoothing war. The duo brought up their last visit to Comic-Con and how that really started their agitation towards the "feature" that makes everything look like a daytime soap opera. In an interview with Vulture, Matt Duffer explained the time and effort that Hollywood puts into their projects and that they ultimately look terrible when they reach home video. Duffer had this to say. "Us and everyone in Hollywood puts so much time and effort and money into getting things to look just right. And when you see it in someone's home, it looks like it was shot on an iPhone." The Duffer Brothers also sent out a message to fans in preparation of Stranger Things Season 2 that gave specific instructions on how to turn the feature off on viewer's televisions. Guardians of the Galaxy director James Gunn and Rian Johnson have picked up the gauntlet in an explosive Twitter exchange, rallying the rest of Hollywood up into a frenzy. 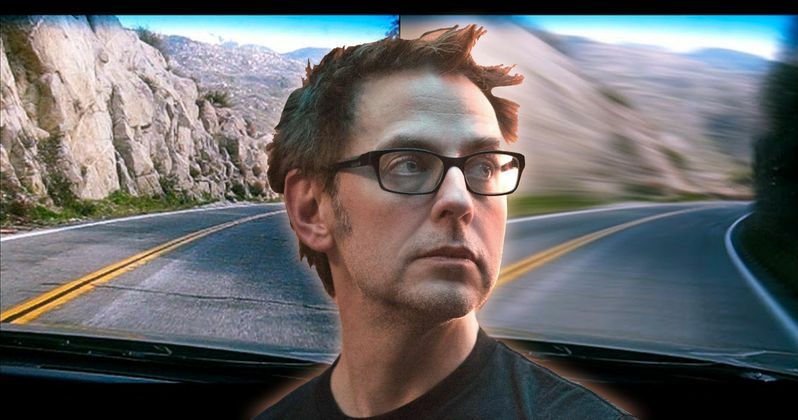 James Gunn took to Twitter to announce that he, Rian Johnson, Baby Driver director Edgar Wright, War for the Planet of the Apes filmmaker Matt Reeves, along with Mission: Impossible 6's Chris McQuarrie and Tom Cruise "are all on board the anti-motion-smoothing campaign. Who else?" Christopher Miller (The LEGO Movie) and Dan Trachtenberg (10 Cloverfield Lane) instantly jumped on board to get behind the cause. Rian Johnson doubled down on the Duffer battle cry and tweeted out the specific instructions to turn the motion smoothing off and then had this to say. "You want movies to look like liquid diarrhea, fine. But it should be a choice you make, not a hoop everyone has to jump through to unmake." This annoying little phenomenon is commonly referred to as the "soap opera effect" and it's a byproduct of your TV's motion-enhancing features. Thankfully, the effect can be turned off, and that's probably a good idea when you're watching movies. While these smoothing features can make a few things look better; scrolling tickers, sports, and HDTV test discs, for example, our eyes and brains expect something very different when we're watching movies. A slower frame rate is one of them. Just make sure you take it off when watching Star Wars movies, Guardians of the Galaxy, Dunkirk, etc. As of this writing, Dunkirk director Christopher Nolan is on board as well to fight the good fight against "liquid diarrhea" smooth motion technology. Hopefully these guys get some shirts made to raise awareness for the cause. "Liquid Diarrhea" would look excellent on a shirt or a hat of some sort. Anyway, the time has come. What side of history will you be on? Check out the call to arms via James Gunn's Twitter account below as well as some more leading the charge. We share a producer. It's tomorrow's first bit of business. I can 100% guarantee you that it is.